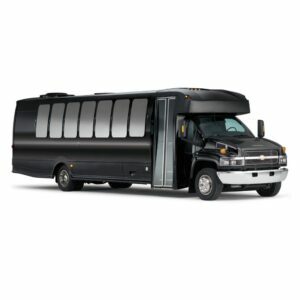 Dallas 20 Passenger Shuttle Bus Rentals are widely popular for Wedding guest shuttling to and from events, Airport transfers for mid size groups and just general city travel. Because of the wide variety and availability, these Shuttle Buses are usually always available and very affordable. Was a Limo or Party Bus just a little too expensive? Why not save money and reserve a Shuttle Bus for your next Dallas event. Prices can vary from bus to bus but we aim to get you the bus you want with the price you will be happy with. Fill out a quote and don't hesitate to ask us which will work best for you and your group. Shuttle your large family or school or sports team to the Airport in a 20 Passenger Shuttle Bus. For any of the widely popular and attractive Events around Dallas, be at ease knowing you will be dropped off right at the front and we will be waiting when your done in your 20 Passenger Shuttle Bus. If your just wanting to transport guests to and from venue or location for your Birthday, why not book a 20 Passenger Shuttle Bus and spend your money on gifts and local. Black 20 Passenger Shuttle Buses will save time and car traffic for Funerals, Wakes and Memorial Services. Safe, reliable with individual seating, 20 Passenger Shuttle Buses are very affordable and are a good option for that next Homecoming Dance. Party Bus just too expensive? No worries, save money on a 20 Passenger Shuttle Bus to Prom. Spend all your money on the Venue and Limo for her? You won't break the bank for shuttling guests and family to the event with a 20 Passenger Shuttle Bus. No need for everyone to drive separately, find or pay for parking. Pitch in and get a 20 Passenger Shuttle Bus for your next Dallas Concert or Music Venue. We know your going to be spending money on all that wine, so why not try a 20 Passenger Shuttle Bus for next Wine Tasting Tour. Your next Beer Tasting or Brewery Tour can be still be affordable and fun with a 20 Passenger Shuttle Bus. Planning on a budget? We understand, that is why we have a fleet of Shuttle Buses for every group size. So think about a 20 Passenger Shuttle Bus your next Bachelor Party celebration. You can still have just as much fun in a 20 Passenger Shuttle Bus than a Limo or Party Bus. Save some money for the Bachelorette Party Events and Venues.